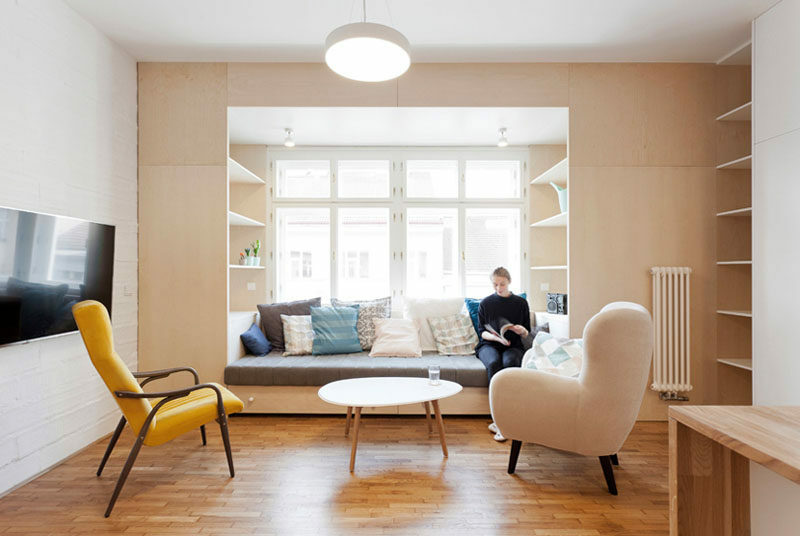 When Atelier 111 were renovating an apartment located in Prague, Czech Republic, they decided to build the couch and shelving into a niche that protrudes from the facade of the building. 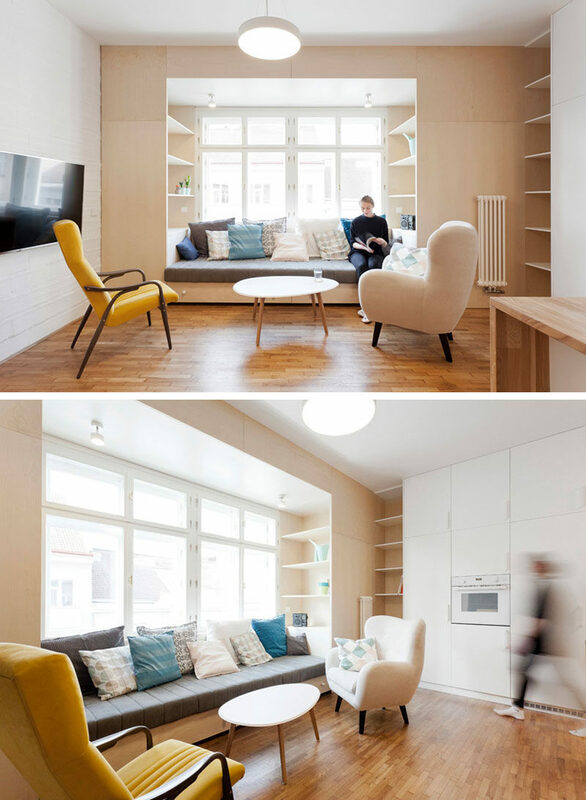 Instead of buying furniture separately and having an odd space in the living and kitchen area, they created a dedicated space for lounging by using a light wood to build a frame that houses a couch and open shelving. 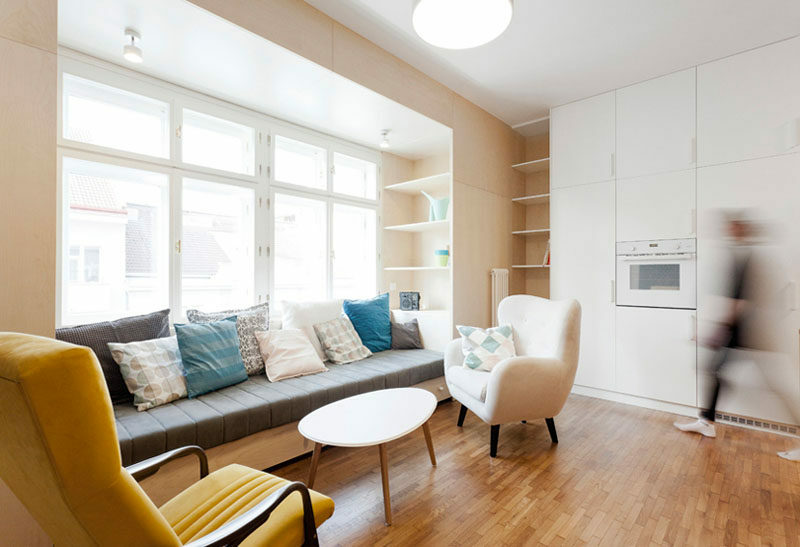 Upholstered cushions and throw pillows make the large couch extra cozy and comfortable for daytime lounging and daydreaming out the window.